Things To Do in Fort Lauderdale including Tours, Attractions, Everglades Tours, Sightseeing Cruises, Fishing Trips, and more. • Things to do in Fort Lauderdale, Florida. Browse online for tours, attractions, everglades tours, fishing trips, and more. 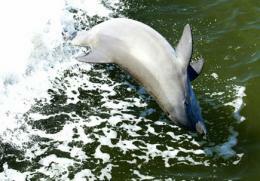 Fort Lauderdale Attractions include: Mai Kai Polynesian Dinner Show and Miami Seaquarium. Fort Lauderdale Sightseeing Tours to Key West, Miami, Orlando, and Sightseeing Tours around Fort Lauderdale. 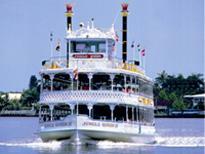 Sightseeing cruises in Fort Lauderdale, Sunset Cruise, Catamaran Cruise, Ft Lauderdale Dinner Cruise, and Jungle Queen Riverboat. Deep Sea Fishing in Fort Lauderdale, Sport Fishing, Charter Fishing, and Drift Fishing. We offer the Best Fishing Boat Fleet. Everglades Tour, Airboat Tour, Everglades Day Safari Tour, Everglades half day Tour, Alligator Shows. 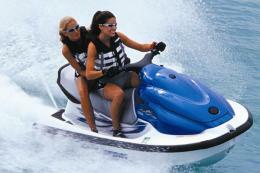 Jet Ski Rentals and Water Sports in Fort Lauderdale, FL. Fort Lauderdale Airport Shuttle, Fort Lauderdale Hotel Shuttle. Fort Lauderdale Cruise Shuttle. Find Things To Do in Miami including Tours, Attractions, Fishing Trips, and Catamaran Cruises. Save Time and Money with Online Bookings for Tours and Attractions. Destination Lauderdale offers some of the best tours, attractions, Everglades tours, and things to do in Fort Lauderdale. Enjoy a fun tour from Fort Lauderdale to Miami or Fort Lauderdale to Key West. 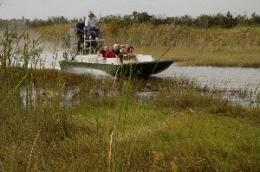 Experience an exciting Everglades tour and Airboat Ride. See the beautiful Venice of America on a sightseeing cruise. The Jungle Queen is an excellent way to tour the Intracostal Waterway. The most popular things to do in Fort Lauderdale include the Mai Kai Dinner Show, Jungle Queen Dinner Cruise, Everglades Tour, Deep Sea Fishing, Segway Tour along Fort Lauderdale Beach, Deep Sea Fishing, and a tour to Key West or Miami. Enjoy the convenience of booking online. We guarantee to have the lowest prices on Fort Lauderdale tours and attractions. Check out our Lowest Price Guarantee. Fort Lauderdale is has become a major tourist destination. The beach is beautiful, the waters are warm, and there are plenty of fun things to do in Fort Lauderdale and South Florida. For instance, Fort Lauderdale is home the nation’s longest running Polynesian show at the Mai Kai Restaurant. This attraction offers a great dinner and show package. Fort Lauderdale is also next door to one of America’s natural wonders, the Florida Everglades. You can take an exciting airboat tour and also see live alligators up close. Another popular and scenic place to see is Fort Lauderdale’s Intracostal Waterway and New River. The city has been known as the Venice of American and the Yacht Capital of the World. If you would like to see why it has these nicknames, take a sightseeing cruise aboard the Jungle Queen. The cruise offers a scenic tour and also a fantastic dinner and a variety show on a tropical isle. Another excellent place to visit that is within driving distance is Miami and Key West. These cities offer excellent culture, sightseeing, and fun things to do. These tours offer pick-up and drop-off from many hotels in Fort Lauderdale Beach and the tour guides are some of the best tour guides that you will ever meet. 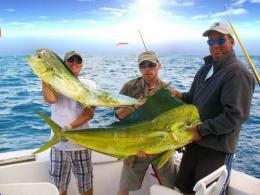 If you like to go fishing, Fort Lauderdale is one of the best places to charter a fishing boat. You can catch Sailfish, Mahi Mahi, Tuna, Snapper, Grouper, and even a Shark. There are so many fun things to do in Fort Lauderdale; the possibilities are endless. Make sure you browse all of our things to do including tours, attractions, sightseeing cruises, fishing trips, water sports, and more.